One of a kind chance to own this tastefully expanded & remodeled patio home on the RUNWAY in SkyRanch Airpark. 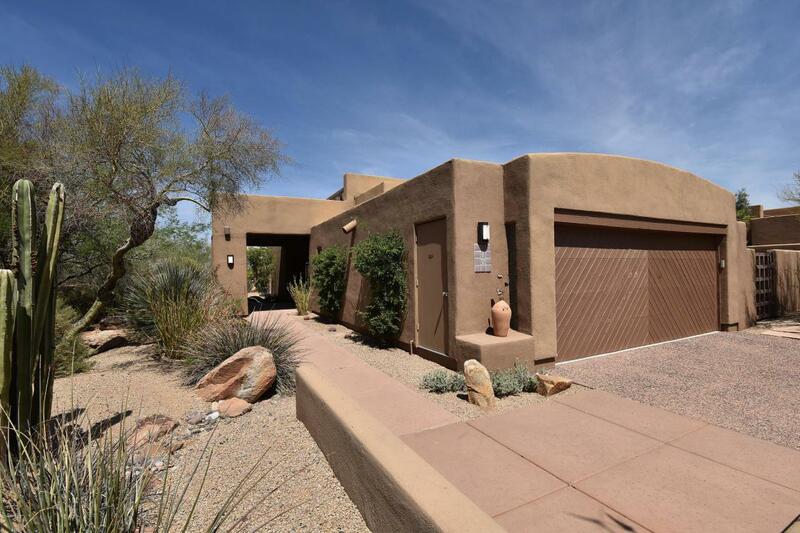 This end unit is a much sought after B floor plan that has been enlarged to include a sizeable Guest Suite, separate Office, exercise area in the Master Suite, & separate Powder Room. All additions were carefully designed to emphasize & continue the classic SkyRanch architecture - Great Room openness, wood beams, high ceilings, & clerestory windows for abundant light. 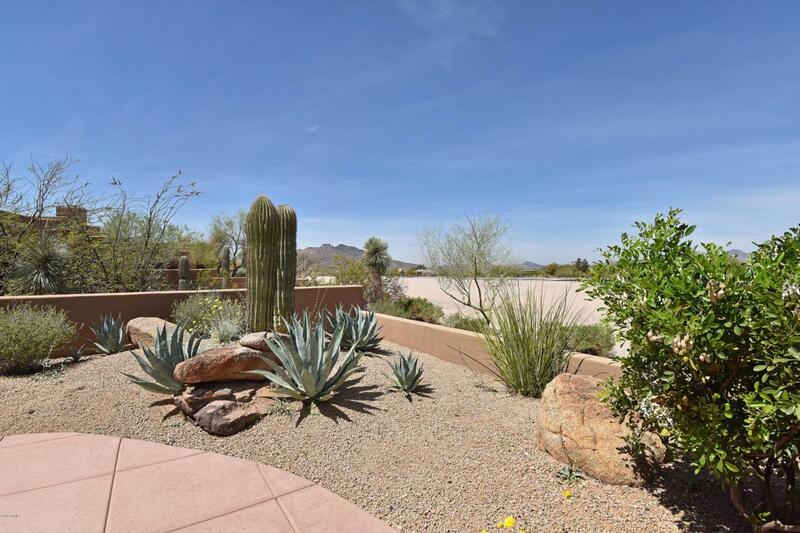 Kitchen offers custom cabinetry, granite countertops, and is configured for direct access to the private courtyard. 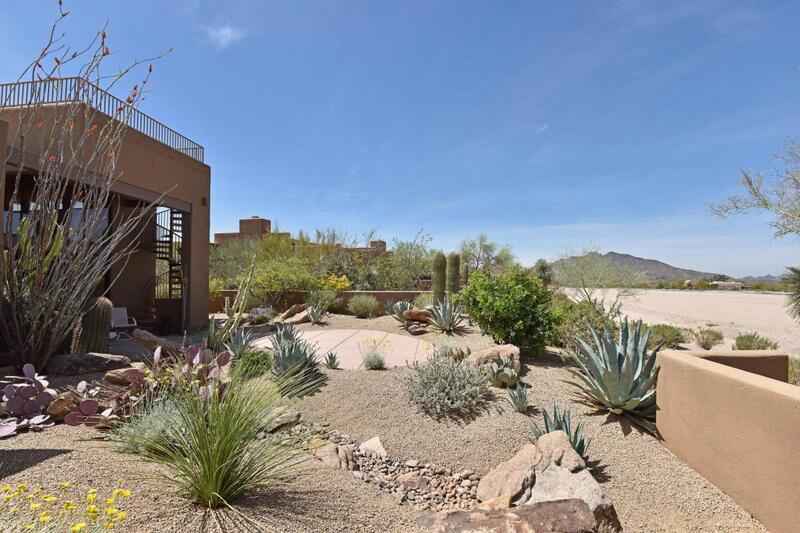 Great Room features stone faced gas fireplace.Professional landscaping & lighting truly bring the beauty of the Sonoran desert into this home. Spiral staircase provides access to rooftop deck which offers panoramic views. 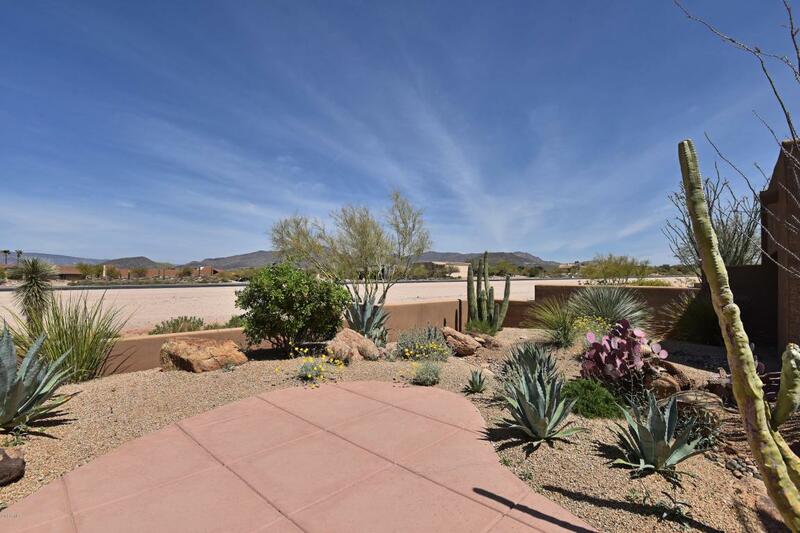 SkyRanch at Carefree is a small, GATED community in picturesque Carefree, AZ. It offers a friendly neighborhood atmosphere & community amenities including a Ramada, heated Pool/Spa, Tennis Court, & Dog Park. Truly a place not just for aviation enthusiasts, but for all those who desire an outstanding location in Carefree!! Furnishing available on separate bill of sale.